In 2018, Martello introduced ATLAS SD-WAN to the North American market to provide affordable and simple, business-centric network solutions to enterprises. ATLAS is a full encompassing SD-WAN solution with security, optimization, VPN and failover components. This modular suite offers a subscription-based pricing structure ideal for enterprises and service providers alike. In the last few weeks, our team has been travelling the world to initiate the next phase in the expansion of ATLAS SD-WAN. Starting in September, we were in Paris for the SD-WAN Summit, a yearly conference regrouping the top minds in the SD-WAN marketplace. There, we announced our new distributor agreement with WCS Europe, a strategic partner in the region. Shortly after, Martello announced that Antwerp-based TrueGEN would carry Martello’s SD-WAN technologies further into the European market. Now, Martello also turns to Dubai and the Middle-East, with the 38th GITEX Technology Week, held at the Dubai World Trade Center on October 14-18. 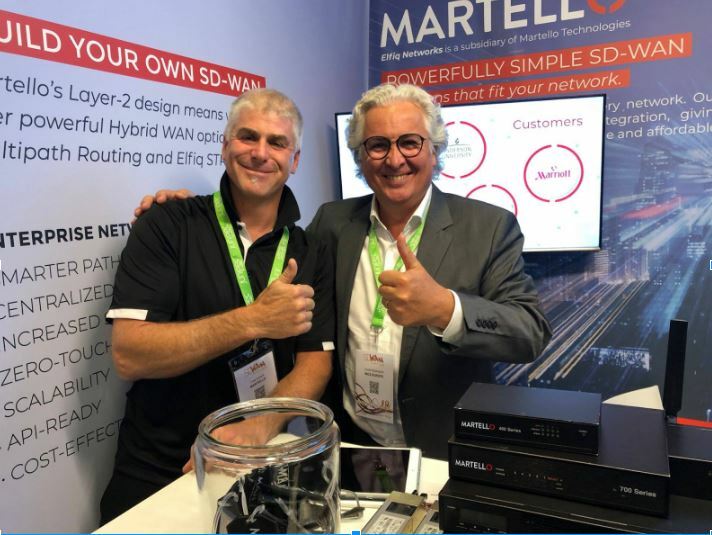 The Middle-East has always been a successful market for Martello, as well as its subsidiary Elfiq Networks, which develops and markets ATLAS SD-WAN. On the heels of receiving Frost & Sullivan’s Leadership Award for Network Performance Management and TMC’s Internet Telephony SD-WAN Product of the Year Award, ATLAS SD-WAN is now available in Europe and the Middle-East. With this expanded portfolio, Martello offers LTE/4G/3G cellular connectivity through embedded cellular modems, providing a more reliable failover option at the edge. Providing simpler network solutions has always been at the core of Martello’s promise. Our clients do business all around the world, and their wide area networks reflect that reality. By expanding ATLAS SD-WAN to two new regions, Martello intends to keep that promise.